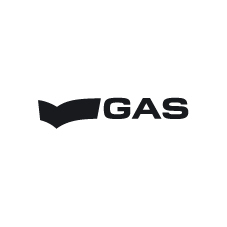 GAS is an Italian brand that has been designing, manufacturing and distributing men's, women's and children's clothing, footwear and accessories collections for 30 years. GAS's core business is denim, the element around which quality products revolve, products that meet the needs of the intelligent, aware, international, cosmopolitan consumer. Contemporary clothing that goes beyond the fashions of the moment to express the wearer's individuality on all occasions.